By promoting and contributing to discussions with a Poetry Club, which meets at the National Library on a weekly basis. By proposing that the Albanian literature department at the University of Tirana create a student-run online literary journal, so that tomorrow’s “established” poets can emerge organically—both for Albanian readers and for researchers interested in Albanian literature. The magazine is still being developed. That said, no website currently exists, but the Albanian literature department hopes to place it somewhere on the Faculty of History and Philology’s website (http://www.fhf.edu.al/). Regarding a blog: the students are hoping to establish the journal this year. No blog will be established, but they are open to the idea of adding on a blog in future years, after getting things rolling. The tentative name for this journal is Amëz, which is a wordplay on an Albanian term that means “mother/source/fount of inspiration” while also meaning a “fragrance” (i.e. a breath of fresh air, a new fragrance in literature). Ideally, this journal will become a university-wide collaboration in later years. By establishing a student poetry recitation program in the English Department at the University of Tirana. Modelled after the Poetry Out Loud program in the U.S., this program, called Po-e-Zë, [zë meaning “voice” in Albanian, and “po e zë” meaning “I am starting something (new)” in Albanian], is meant to spread to the entire English Department and, ideally, become a university-wide competition in later years. By establishing my own online blog and emerging literary/art journal, ANTI/\OJOS (www.antiojos.com). The aim of ANTI/\OJOS is to generate dialogue about my intellectual cravings. Given that my current intellectual cravings focus on Albanian literature, Issue #1 of ANTI/\OJOS aims to place Albanian writers/artists in Albania as well as in the Diaspora in dialogue with international, non-Albanian writers/artists. Albania experienced a xenophobic form of communism for approximately 46 years, from 1944 until the early 1990s. That said, the country was literally closed off from the rest of the world (and the rest of the world was closed off from it) for nearly half a century. Literature and the arts have therefore developed in a peculiar form of isolation; it is time to juxtapose Albanian works against international pieces, so as to see the similarities and so as to note the striking differences. This will encourage the continued assimilation of Albanian literature and arts into the international artistic scene. Though in its humble beginnings, ANTI/\OJOS hopes to help with this. Both Albanian and non-Albanian submissions are currently being accepted. More information can be found online at www.antiojos.com/submissions (submissions highly encouraged). After corresponding with Krisela briefly at the beginning of the semester, I knew that I wanted LRR to provide a platform for her to discuss her exciting literary plans for Albania. 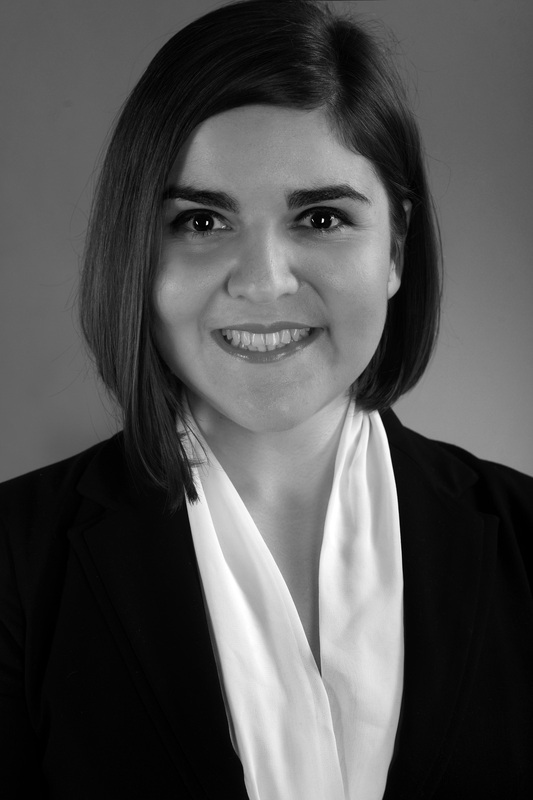 In the following brief interview, Krisela discusses the current state of the student-run journal she hopes to bring to life, her own blog, and the future of collaboration between LRR and the Albanian journal. The views expressed in the following interview are entirely those of the interviewee and do not represent the views of the Fulbright Program, the U.S. Department of State, or any of its partner organizations. LS: Could you describe your interest in creating a literary journal at the University of Tirana? KK: As mentioned above, I have encouraged the development of a student-run literary journal at the University of Tirana because I believe that one such online magazine would allow fresh, quality voices in the literary scene to emerge organically on a yearly basis. That is, instead of having an outside researcher like myself come in and, in a sense, “pick” new contemporary literary voices to showcase, a journal like this will allow Albanian students of literature, themselves, to determine and showcase what they consider quality literature, representative of their time and generation. Should this journal be successful, I hope to study it later on, so as to see if any notable similarities exist between the various authors published there, and so as to use it as a source which might aid me and others in better articulating the current / future state of Albanian literature (i.e. are there specific literary movements taking form? ; does most of the notable emerging literature center on a particular theme? ; etc.). Literary magazines have existed in Albania (Aleph, Mehr Licht, Poeteka) but most have usually published for several years and then have capitulated due to lack of funds. The only other literary magazine that currently exists in Albania, to the extent of my knowledge at least, is called Pa Fokus (“Without Focus”; www.pafokus.com). Since 2013, Pa Fokus has been published online on a monthly basis, 10-11 times a year. It generates dialogue about important cultural issues in Albania; each monthly issue focuses on a different theme (e.g. education, “the other,” etc.). Its staff is entirely volunteer-based and its contents are free and open to the public. I was not aware of Pa Fokus’s existence when I suggested the establishment of the literary magazine at the University of Tirana. However, even after learning of Pa Fokus, I am certain that both magazines are necessary as they serve different roles in the Albanian literary/artistic scene. Pa Fokus seeks to publish young, emerging writers, columnists, and artists, though it admits to not being 100% “selective” in terms of the literature it publishes. While Pa Fokus’s editors do seek quality material, they do not necessarily critique writings, nor do they necessarily work with writers in order to edit/tweak their creative work prior to publishing them. Pa Fokus therefore serves as a forum of voices. Ideally, I am imagining that the University of Tirana’s magazine, Amëz, may serve as a forum as well, but a more refined forum, carefully curated by the university’s own students of literature, and purposefully showcasing what the students deem to be the “best of the best.” Thus, the two magazines coexist in harmony, as they serve the art world in different ways—Pa Fokus by allowing artists to experiment and come to the forefront on a regular, monthly basis and Amëz by carefully selecting what it considers “the best” for annual showcase. I have also encouraged the development of this journal because I strongly believe that giving students a hands-on task like this—allowing them to be the judges of what is considered quality literature amongst the submissions of their peers—will help them grow as literary critics, as leaders, as team-players, and as future editors/publishers. I can say this with confidence because my three years on the Long River Review staff—first as a member of the Poetry Panel and Translations Editor, second as the Main Genre Editor for the Poetry Panel and the Foreign Literatures Editor, and third as Editor-in-Chief)—helped me do just that. I essentially wanted the students to have an experience similar to mine with LRR; I learned a lot about myself, about student writing, and about contemporary literature through the LRR. I figure that perhaps these students can learn more about their own literary landscape in a similar fashion. LS: How is your progress going? KK: The Literature Department Head at the University of Tirana was kind enough to offer her full support with this idea. In fact, she was able to introduce the concept of the magazine to the first-year students of “Shkrim Kritik” (“Critical Writing”/ “Literary Criticism”). The 40-odd students of this class were notified in December that they would be establishing an online literary journal, as part of a class project. They were individually told to research literary journals in general (be they US journals or otherwise). Each student then individually presented a project proposal for the ideal form of this journal: e.g. its theme, its title, its ideal contents, its categories for submission, its frequency of publication, etc. After presenting and handing in their projects in early-to-mid-January, a handful of students were selected as the main editors of the journal. These students would lead their fellow classmates in gathering materials throughout January and early February, while consulting two professors and myself for guidance. The students handed in a draft of the magazine, along with the preliminary submissions / choices for publication, in early February. Students were required to justify, in writing, their decision for choosing the pieces that they did; this was part of their grade. The Department Head is reviewing these materials to assure that effort has been put forth and to ensure that quality choices have been made. This semester, the student-editors will continue soliciting materials from student-writers enrolled in a creative writing course. At the moment, the new semester is just starting, so we are waiting for things to get rolling before moving forward. However, much of the heavy lifting has been done. LS: What challenges have you faced in the process of bringing this journal to life? KK: The journal has yet to emerge. However, the most challenging aspect of the process so far for me was serving as the main “advisor” to the Poetry and Translations panels. Time flows differently in Albania, and classes are structured differently. Students, though well-intentioned, would sometimes break appointments with me, without realizing that this was affecting the structure of my day, and without being fully cognizant that I was offering to help them with any questions regarding poetry and translations on a volunteer-basis. I would become frustrated when things didn’t go as “they should” (according to me). For instance, even if all of my panelists showed up, then perhaps the room we had planned to use was taken. My first meeting with them was conducted—I kid you not—on the sidewalk of a busy intersection near the National Library, as the American Corner (a room of the library) had been unexpectedly “booked” at the last minute by others. However, all cultural miscommunications aside, helping out was an honor and taught me the importance of flexibility and adaptability. LS: You have mentioned that one of the goals of such a journal project is to inform the LRR editors of the challenges that people in less-developed countries face with regards to the dissemination of young voices in the arts. What are some of the challenges that you have noticed in Albania? KK: Well, everything essentially comes down to economics, and then spreads out from there. Albanians are often living paycheck to paycheck, and their income is barely enough to pay their bills. That said, when the economy suffers, people have to focus on practicality first and foremost. This means that the arts—which are often mistakenly considered “impractical” are put on the backburner in most cases. While the US government and US universities are fortunate enough, economically speaking, to provide funding for projects such as literary journals, these funds are rarer here, and far more difficult to come by, as the competition is fierce. The LRR, for instance, is fortunate enough to have a yearly budget to “play” with in order to print its issues and continue functioning, while also maintaining online costs for the website/blog. I suggested an online magazine so that the university can keep operational costs at a minimum for this journal, and so as to avoid cost-based capitulation (as other Albanian literary journals in print have experienced). However, economics are still an issue. The University of Tirana is still developing as an institution; its classrooms do not offer Wi-Fi, projectors need to be sought out well in advance for use in the classroom, and there is generally a kind of chaos that pervades the daily shuffle-and-bustle here. There is no centralization; every department organizes itself and its classes individually; there is no central online listing of courses offered and their locations. A lack of such resources and information on hand, and a lack of centralization across faculties at the university means that something simple—like scheduling a meeting time with students outside of class, or showing students how to research literary journals—becomes harder to implement, sometimes to the point of frustration. As a US student, I have learned to appreciate the abundance offered by our education system; I am thinking that this year’s LRR editors might feel the same. I am also thinking that the LRR can, if possible, provide outreach to this emerging journal in Albania, in an effort to establish mutually beneficial ties between both universities. LS: How does the literary/arts culture differ from that in the US? 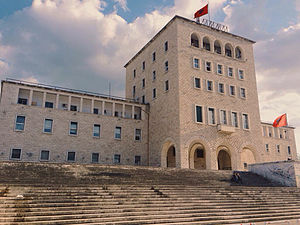 KK: In Tirana, the capital of Albania, literature and the arts are promoted. (In the regional cities and villages, literature and the arts are not nearly as popular). Of course as I mentioned, formal, university-based funding for extracurricular activities (non-existent in the public university, as far I am aware) or extra projects is difficult to come by. However, Tirana’s notable “coffee culture” and abundance of bar-cafes lends itself to individually organized artistic events in specific places around the city. Most of the artsy crowd hangs out in one of four places: Tirana Ekspres (an alternative space for events, frequented by the student crowd), E Jona (a café in the trendy Bllok area, which hosts live music and established authors regularly), Tulla (a new place, which attracts young and old artists alike), and Hemingway (a bar owned by one of the editors of the former Poeteka literary magazine, where somewhat older artists/writers/journalists often go to kick back a few beers). Though less formally-backed with funding and by institutions, the arts nevertheless flourish here because the people—particularly the younger generations—are eager to include themselves in an international artistic dialogue. LS: You are interested in initiating collaboration between the Long River Review and a literary magazine at your university in Albania. Has the Embassy been receptive to the idea of collaboration between an Albanian literary magazine and LRR? What is your vision for this type of collaboration? What would it entail? Yes, I am interested in establishing ties between the University of Connecticut and the University of Tirana. More specifically, I am interested in establishing ties—informal at first, but ideally formal and institutional—between the Long River Review and Amëz (the University of Tirana’s emerging journal). These ties would at the very least include dialogue between the editors of each respective journal every year. For instance—LRR editors could Skype-in and answer questions that Amëz editors might have about the lit-mag editing process in the US. Similarly the Amëz staff could answer any questions that LRR might have regarding running a literary magazine on a low budget, regarding establishing a magazine in a country whose own literary canon is still “emerging,” etc. Additionally, I am thinking that LRR can publish English translations of select pieces from Amëz, and Amëz can publish Albanian translations of select pieces from LRR on a yearly basis (should both magazines be interested in doing this, of course). In an ideal world. LRR editors would apply for UConn funding –perhaps a younger member this year could apply for a SURF (Summer Undergraduate Research Fund) or IDEA grant for next year?—in order to come to Albania and lead the Amëz student editors in setting goals and bettering the magazine on an annual basis. In an ideal world, perhaps Amëz editors could find funding from the local US Embassy (though this is just an idea) so as to sponsor an exchange between select LRR and Amëz editors. Such an exchange (perhaps between the translations editors of both journals) would encourage both editorial boards to work together in order to create a “special transnational issue” of both magazines. These ideas have come about with discussions with the Albanian Literature Department Head. I believe that they are very achievable in coming years. The main task at the moment is simply to establish a dialogue between both groups and to get Amëz up and running. I have realized that my work in Albania will not conclude at the end of my Fulbright stay. I hope to come back to Albania, my country of birth, periodically and aid in developing further programs in the humanities and creative arts at the university level. These are long terms goals for which I am currently laying the foundation.